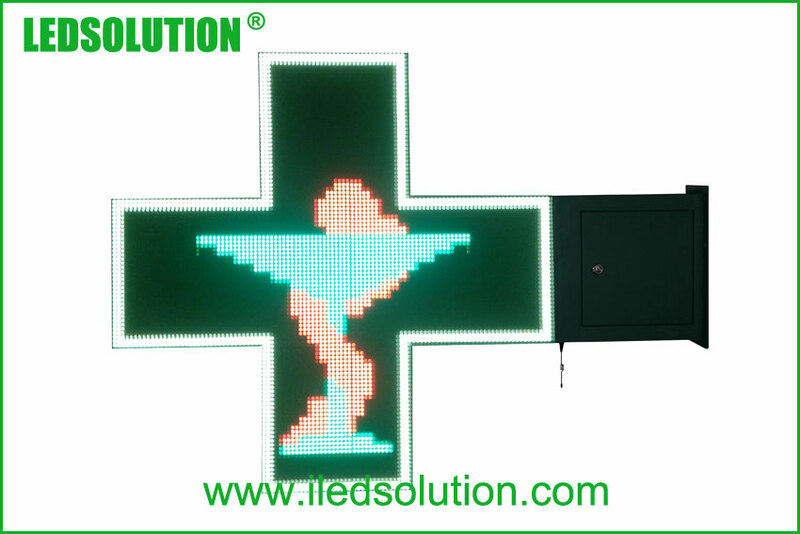 Ultra-high brightness, double-sided displays, fashionable design—attractive signs for hospital, pharmacy, church, etc. 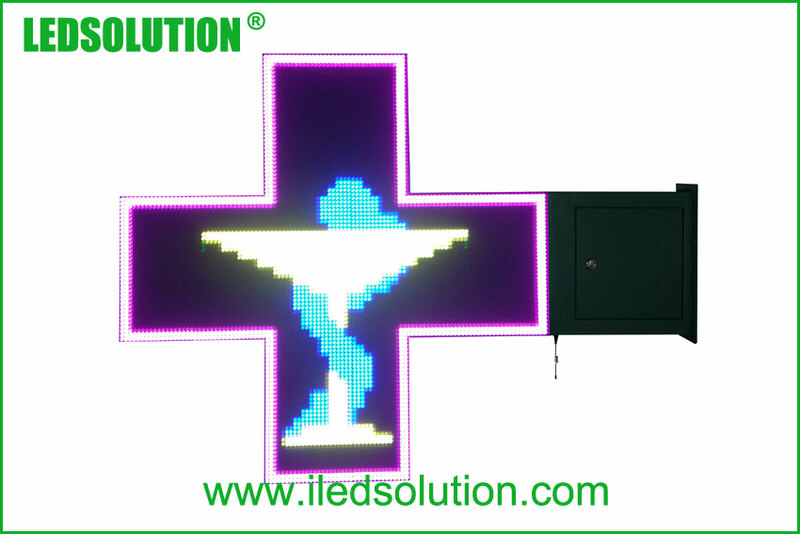 Able to display current temperature, humidity, time, date, graphics, animations and free text messages in different languages. Contents can be arbitrarily set and easily modified. 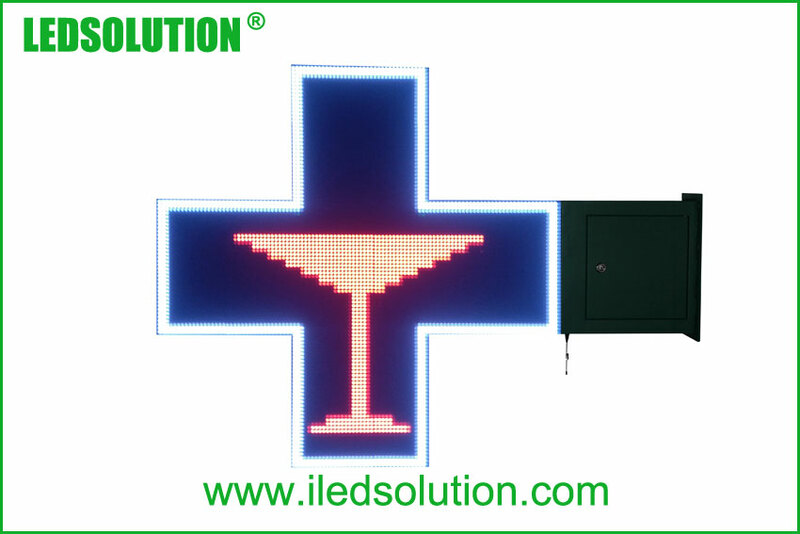 On and off option allows messages to display at predetermined hours and minutes. 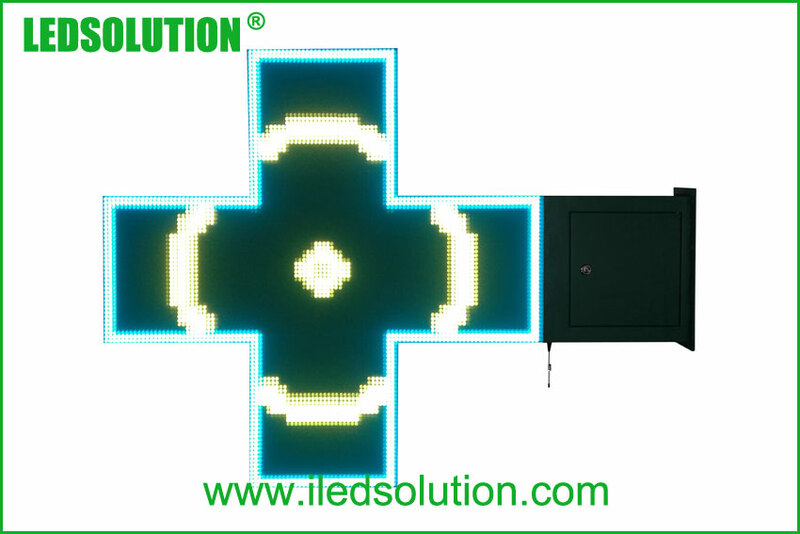 Workable Software: Windows7, VISTA, XP, 2000, 98; English/French/Italian versions are OK.
Work around the clock, automatically adjust brightness to the working environment. Anti-acid, anti-freeze, windbreak, rainproof, moisture-proof, thunder-proof. 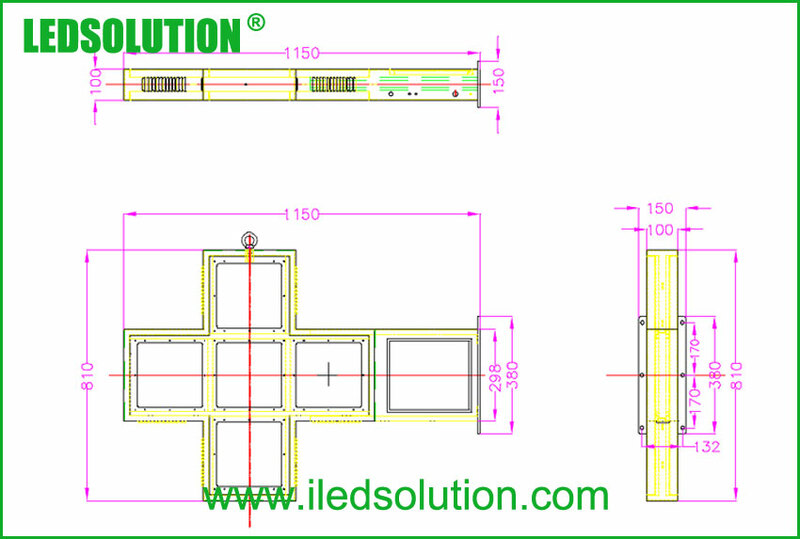 Thin and slim display body, convenient transport and maintenance.